We love staying in the Sea Point area in Cape Town. The two big roads for the area run parallel to each other. On the one side Beach Road takes you along the oceanside with palm trees aplenty and the sparkling azure sea alongside the well-walked Sea Point promenade. One road back is Main Road, home to a collection of shops, restaurants, hairdressers, gyms, ice cream parlours, yoga studios, beauticians…well pretty much everything. We have a saying that if you’re looking for something (anything) you will find it in Main Road. It’s always buzzing with activity. And one of our very favourite spots is La Mouette, a friendly restaurant that we discovered in 2010 when it first opened that we visit every year several times. I’ve also sent plenty of friends visiting from the UK to taste their amazing food. 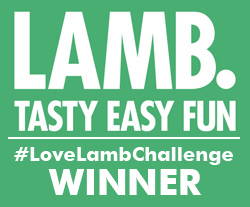 It is really amazing, and as is often the case in Cape Town for those of us lucky enough to have pound sterling in our pockets, it’s great value for what is a creative and delicious fine dining experience. You sit in their lovely courtyard surrounded by twinkling lights in the trees and breathe in the balmy sea air. I love the relaxed atmosphere and friendly, enthusiastic service. Today’s post is a conglomeration of two visits with different parties of friends. I don’t have pictures of everything to share with you (and it was a lot of things) as some of them just didn’t come out well enough, (hey, that happens) but don’t worry there’s still plenty to feast your eyes on. On our first night we went for the tasting menu. The whole table has to agree to this as it’s six courses and obviously if some are going a la carte your dining experience is going to be somewhat out of sync. It’s great to have a night where fabulous plates of food keep coming and there’s very little decision making involved. Your first three courses are set and you then have a choice of three dishes for courses four and five and two for dessert. First up was the combination of summer snacks. Three plates of clever concoctions arrive for the table to share – cured linefish with celeriac, beetroot thoran ravioli, cashews and coconut and red onion bhajis with dukkah mayonnaise. 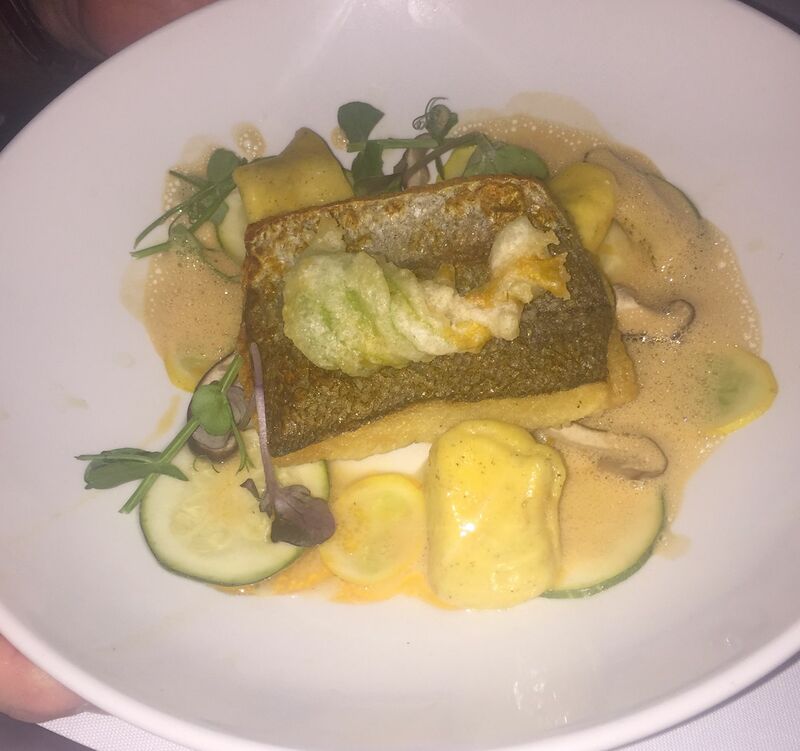 Offering a pleasing mix of colours, textures and flavours, it set us up perfectly for what’s to come next. Our second offering was a wonderful vichyssoise, ideal for a warm summer’s night, packed with plump, juicy mussels and sprinkled with pickled apple, semi dried grapes and curry oil. 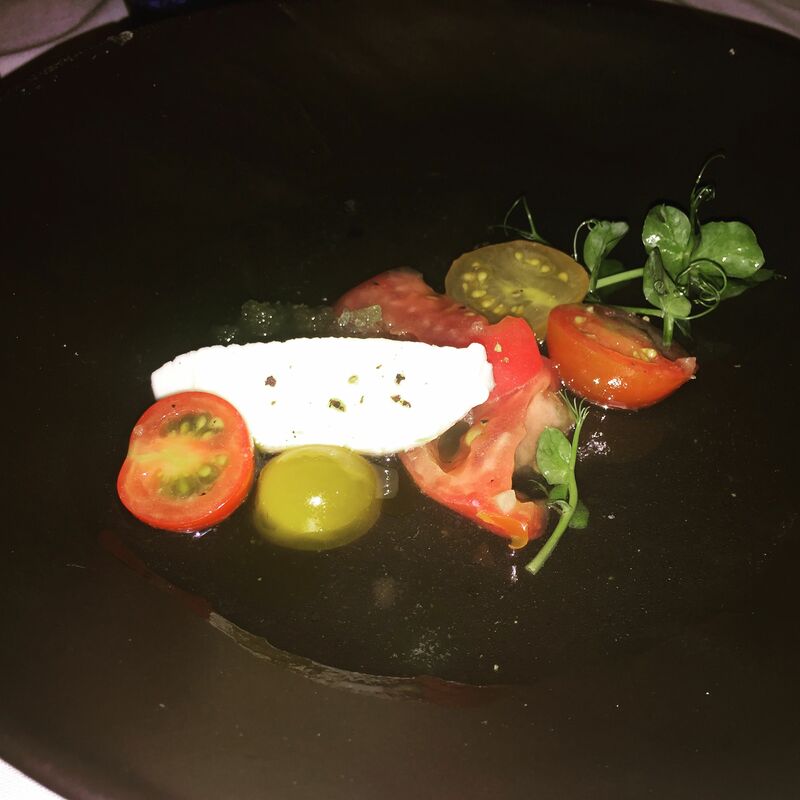 The Heirloom tomato salad comes with buffalo mozzarella, basil ice and a little jug of onion essence which your waiter pours over the vibrancy of the tomatoes. A guess a different version of a Caprese, it’s just the sort of summery starter a tomato lover like me dreams of. And boy that onion essence. Light, cooling, refreshing and slightly sweet it brings out all those tomatoey flavours. This starter is so good I ordered it both times….and the good news is you obviously get a bigger portion when you go a la carte. And I’d order it again without hesitation. Course number four is from a choice of three delights. 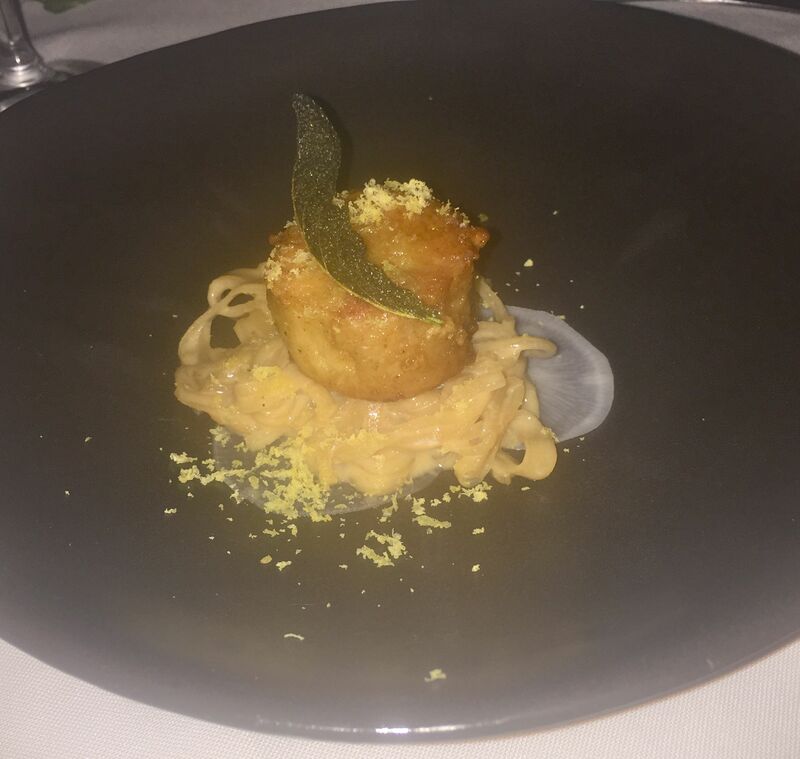 The glazed pork belly is served with turnip spaghetti carbonara, cured egg yolk and sage beurre noisette. 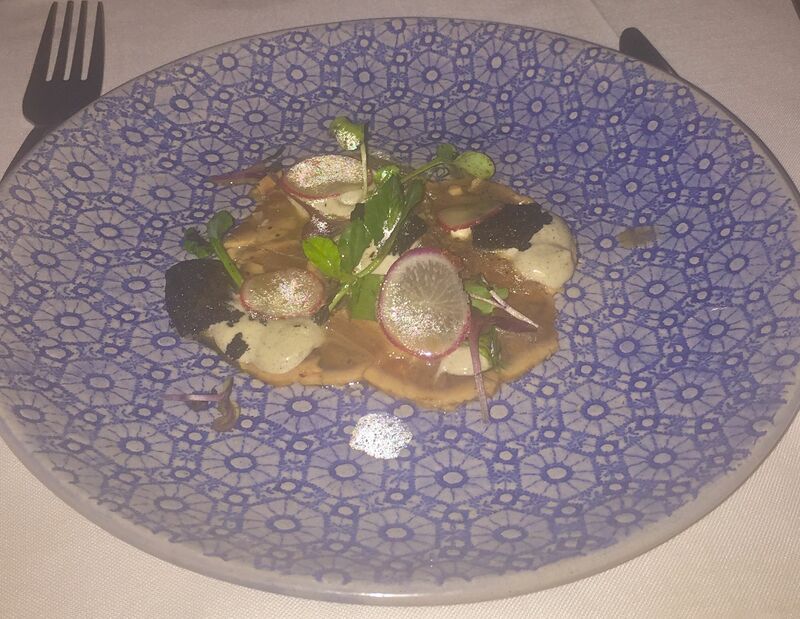 The tuna carpaccio came with black garlic mayonnaise, umami dressing and ashed cucumber. How exotic does that sound? Looked and tasted beautiful, too. Loved that mayonnaise. 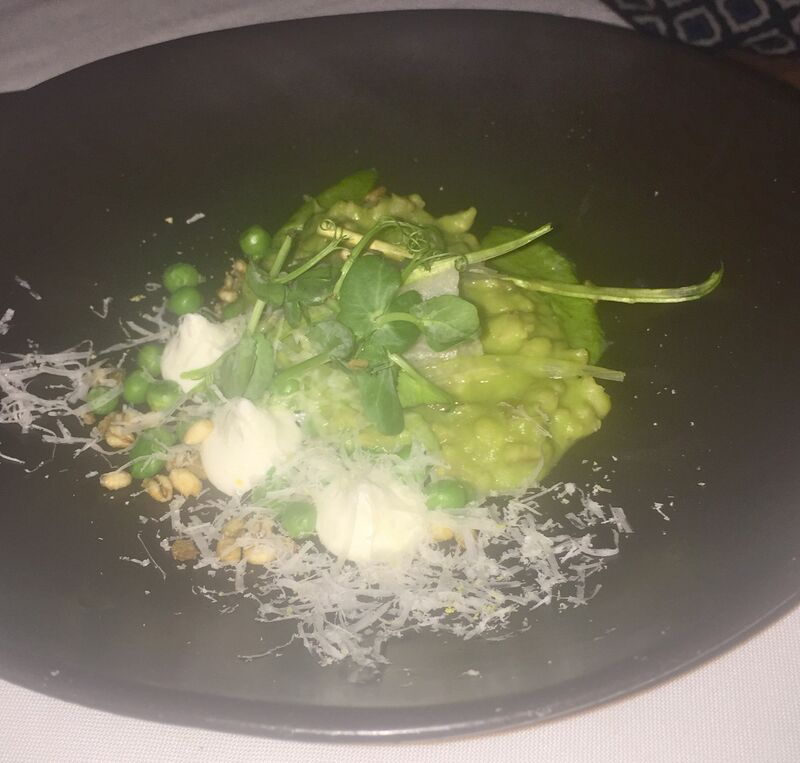 The vegetarian option was pea and barley risotto with puffed barley, shaved asparagus, pickled kohlrabi, fromage blanc and watercress pesto. And then on to course five, again a choice of three. 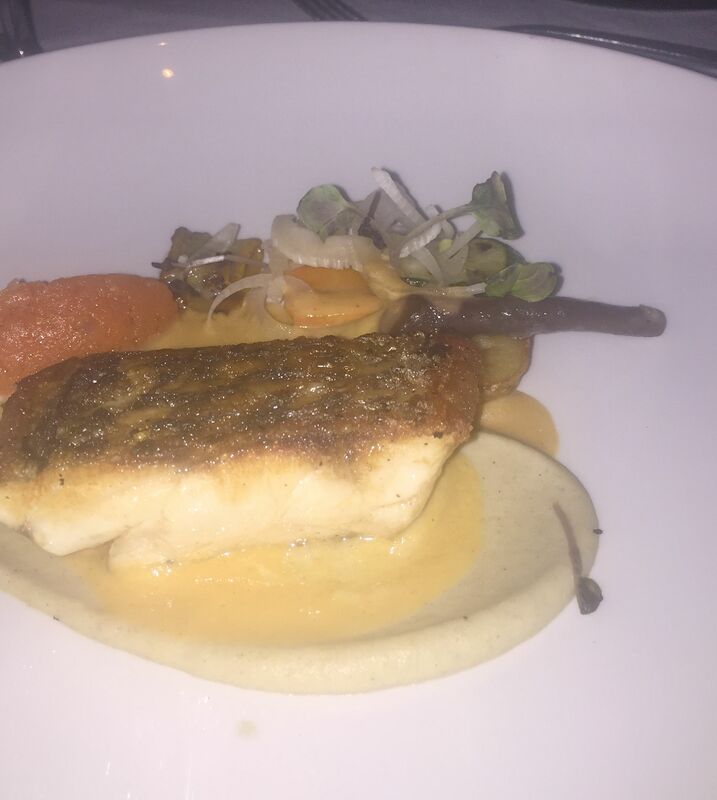 The roasted line fish came with tomato fondue, fennel, carrot fondant, smoked aubergine puree and sauce bourride. Today’s linefish was beautifully sweet sea bass. 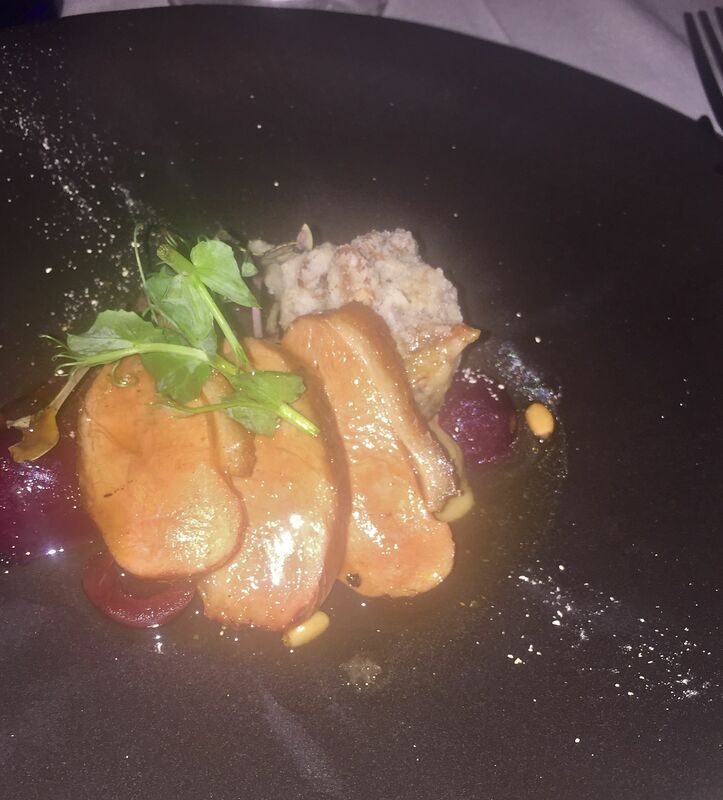 The duck dish came with hay smoked beets, pine nuts, glazed mushrooms, cherries, wood sorrel and twigs. The yummiest of tender duck slices, beautifully sweet beets and lovely smokey flavours. 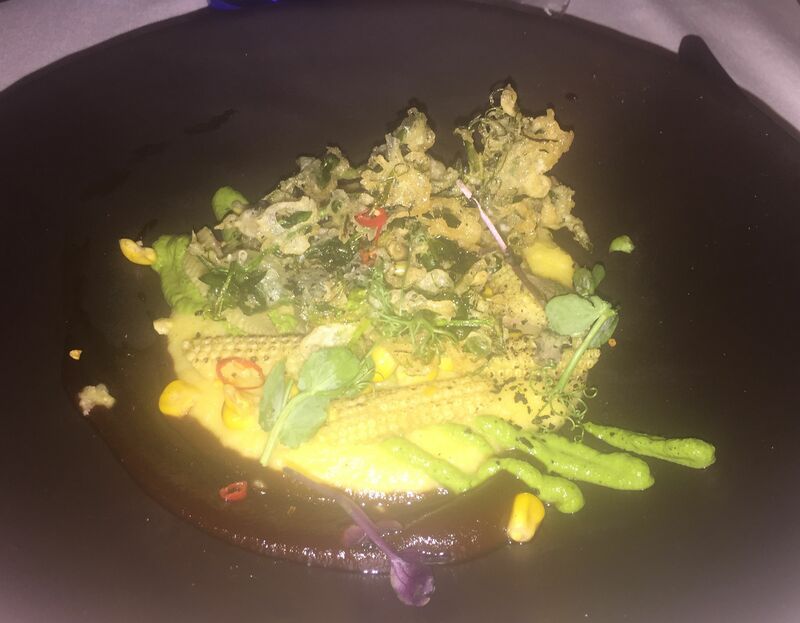 The third main option on the tasting menu was called barbecue sweetcorn. Sounded intriguing and the combo of chimichurri, sweetcorn polenta, burnt onion ketchup and pea shoot tempura was exceptional. Who knew that pea shoot tempura would taste so good? Okay, so moving away from that fabulous tasting menu here are some other options that you can pick if you go a la carte. For me this starter is La Mouette’s signature dish. If it’s your first visit, just order a portion for the table while you’re pondering your choices. 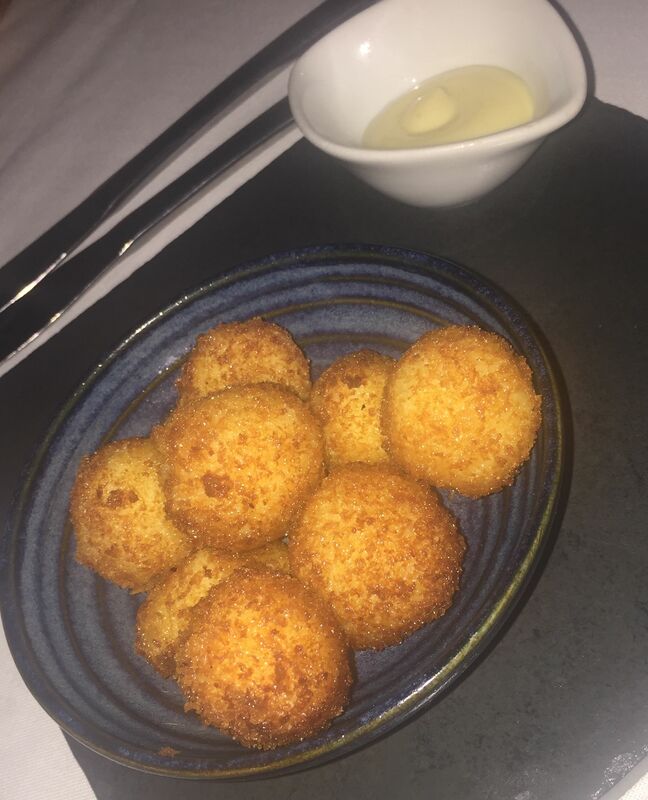 The beautifully cheesy, truffley croquettes melt in your mouth with a burst of earthy flavours to follow. The beef sirloin comes with a crunchy, cheesy smoked gruyere crust, onions, watercress and this amazing cottage pie in a jar. 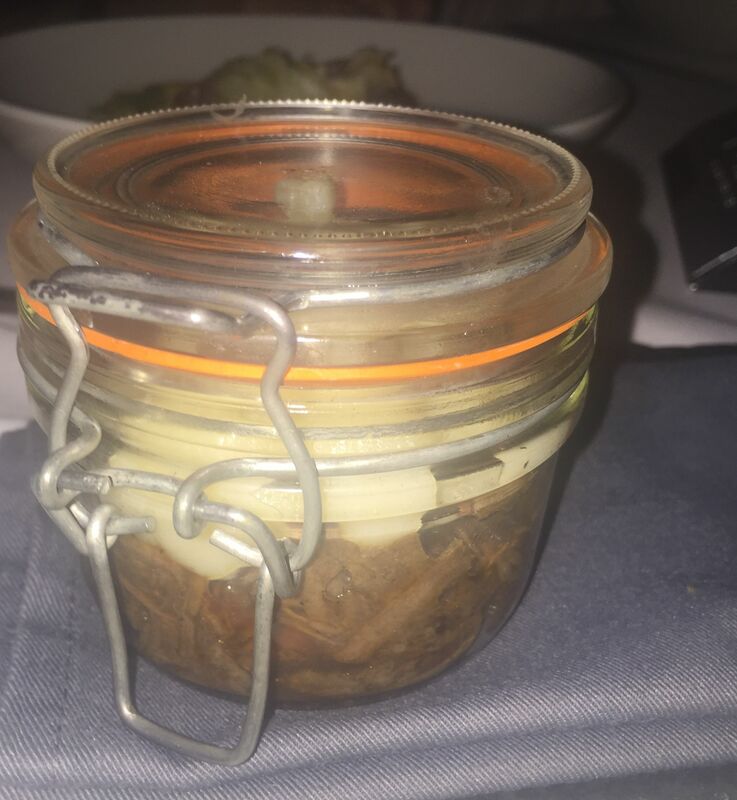 I love food served in jars! It looks fabulous and it’s not what you’re expecting as it’s not minced beef but beautifully flavoured slivers of pulled beef. Topped with lovely mash. Actually a dish on its own, though I did also love the sirloin/gruyere partnership. 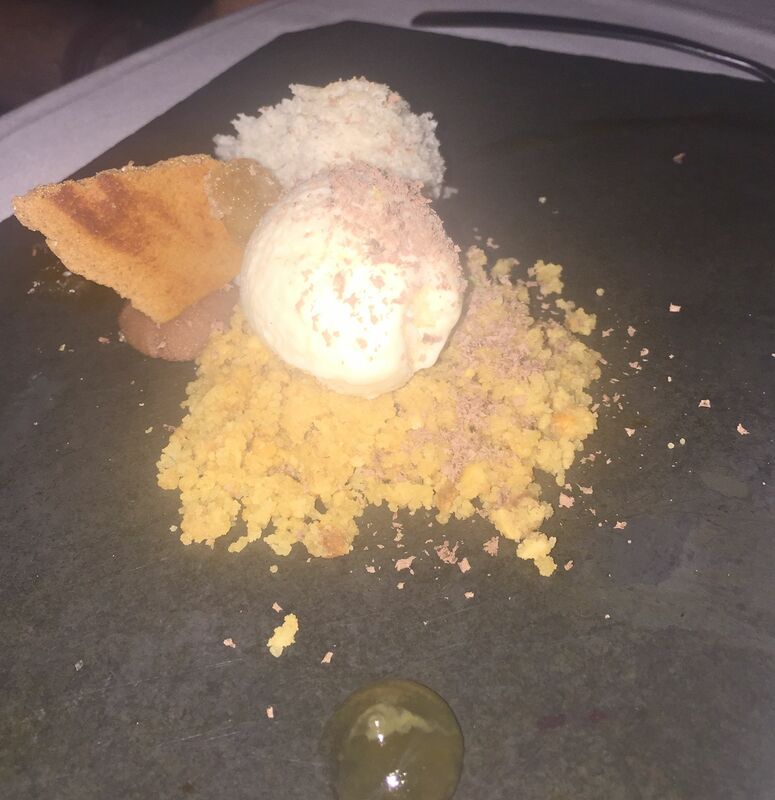 There were several dessert options, the most popular of which was the mascarpone ice cream, with coffee granita, almond sponge, dehydrated chocolate and amaretto gel. Phew, that was a lot of food, but before you comment along those lines remember it was two dinners and a lot of people, too. The good news is that I feel like I’ve sampled the whole menu. Perhaps that’s because I have. Happiness is a great local restaurant less than five minutes walk away. La Mouette is at 78 Regent Road, on the corner of Main Road in Sea Point, Cape Town.